Climate change is California Gov. 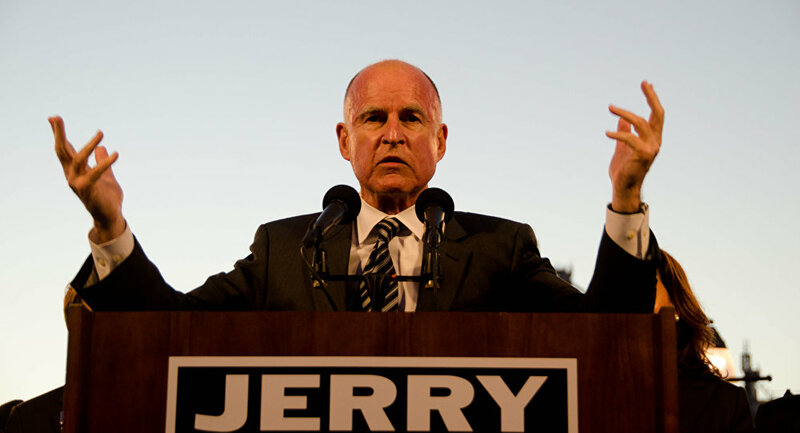 Jerry Brown’s “crusade,” his jihad, his holy war. Yet Gov. 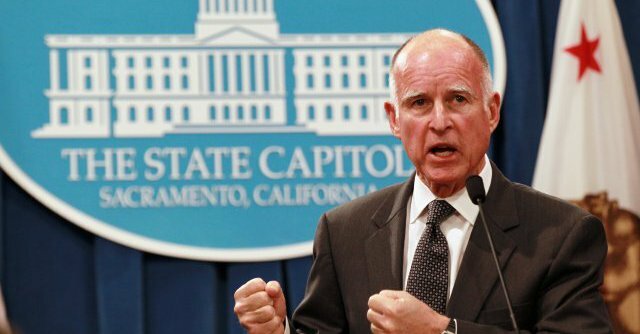 Brown’s climate change and drought policy is flooded with a manic madness – never has his manic obsession with climate change been more evident. In March on Meet the Press, after declaring Ted Cruz unfit to run for president because of his views on climate change, Brown said, “We are running out of time because it’s not raining. This is a serious matter we’re experiencing in California, as kind of a foretaste. But there is no doubt that into the future, we’re going to have more problems.”Brown also claimed research shows a “connection” between California’s drought and climate change. Even with “the most progressive tax system in the United states,” California Gov. Jerry Brown is facing huge deficits, and cannot balance the state budget. 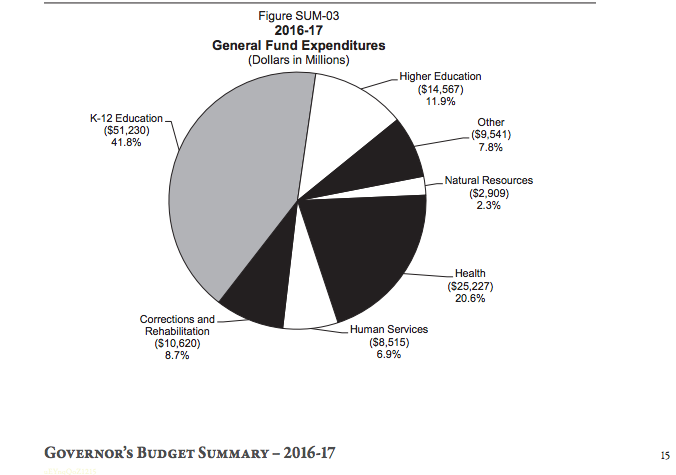 The huge $180billion state budget proposal for 2017-18, may be another record budget but for millions of Californians, it’s still record stagnation and less income. Brown has presented yet another budget fairytale that will have $5.8 Billion in deficits over the next three years – even with the recently passed ballot tax of $10 Billion in new tax revenue. And the budget does little or nothing to pay down more than $240 billion in state debt. Why? Because personal income tax, corporate, and sales tax projections are down. California’s new Democrat supermajority used Monday’s usually congenial legislative swearing-in ceremonies to ram through Assembly and Senate resolutionsinsisting President-elect Donald Trump abandon his immigration deportation policies – at least in California. California is home to the largest illegal-alien population in the country, with35 sanctuary cities.President-elect Trump has vowed to build a border wall and deport immigrants that have a criminal record, which he estimates to be two-three million. Less than four weeks after California voters passed a new transparency ballot initiative requiring advanced notice of legislation of at least 72 hours, Democrat lawmakers rammed through two resolutions hours after turning them in. And these aren’t any resolutions – both demand that President-Elect Donald Trump withdraw “a mass deportation strategy” of illegal immigrants. The hitch is Trump never said he was going to employ a mass-deportation process; Trump said he would deport criminal illegal aliens. California politicians and their union bosses lack all shame in their self-enrichment at public expense. Their outrageous conduct has ravaged the once-prosperous Golden State, consigning taxpayers to $1.5 trillion in debt and another $1 trillion in pension debt. Yet the voting public seems oblivious. How does the San Diego County Board of Education become dubiously entangled with the owner of a solar company and a labor union boss? It’s For The Children… Yeah, right. In 2012 and 2014, the American Federation of Teachers labor union local 1091, led by union boss Jim Mahler, financed the take-down of community based San Diego County Board of Education board members, and installed his own labor union members. In 2014, an independent board member, Doug Perkins, beat the union candidate, Rick Shea, but Perkins fell ill and resigned. The union-dominated board jumped on the opportunity and appointed Shea, giving the labor union 100 percent control of the board. It appears every city, county and municipality in California has a tax increase measure on the November 8th ballot, and is spending taxpayer dollars promoting these tax increase ballot measures. Illegal government manipulation in elections has ramped up all across the state – and taxpayers are footing the cost.